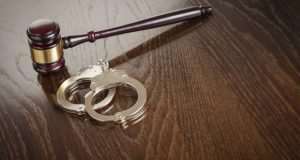 The third accused person in the recent Chereponi violence case, Malik Mohammed has been granted bail by the Tamale Circuit Court on Wednesday, April 3 after pleading innocence. The other five who pleaded guilty have been remanded into prison custody awaiting conviction, Mr. Mohammed Musah, registrar of the circuit court in Tamale told Citi News. All six will reappear at the circuit court on April 11, 2019. The court demanded two sureties, both public workers in good standing who reside in Tamale before granting the bail to Malik. Three persons lost their lives and more than 20 communities burnt in the latest violence. The Overload of Dagbon, Yaa Naa Mahama Abukari II had sent a delegation to the troubled Chereponi and Saboba districts to discuss peace and a cease-fire. The two sides expressed happiness about the visit and have reassured the Overload that they will do everything possible to end the fight.